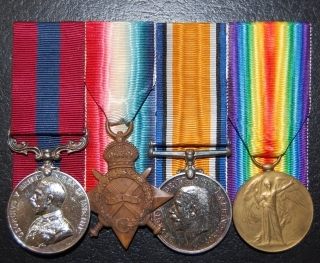 Distinguished Conduct medal (Geo V) “10620 Pte F. Armes, 4/Can I.B.”; 1914/15 Star “10620 Pte F. Armes, 4/Can Inf. 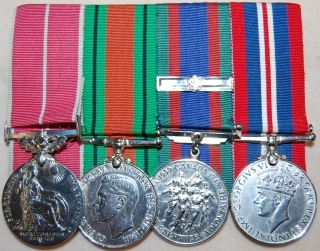 :; British War and Victory medal pair “10620 L-Cpl. F. Armes, 4-Can Inf.” With documentation and original notification slip. Fred Armes was born in Norwich, England December 25th, 1894. He enlisted with the 4th Battalion on 22-9-1914. He was living at 82 Greenlaw Avenue Toronto. He was wounded 29 May, 1915 at the Battle of Festubert. D.C.M. 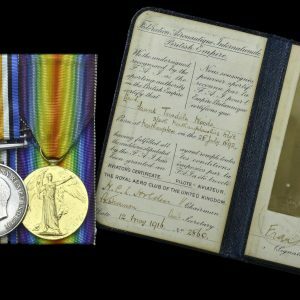 London Gazette 3-6-16: For conspicuous gallantry. He voluntarily went out to repair a telephone wire during a heavy bombardment by the enemy. 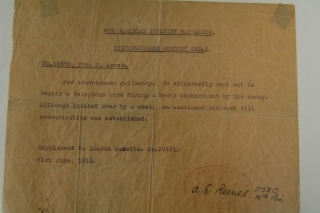 Although knocked over by a shell, he continued his work until communication was established. . The Fourth Canadian Infantry Battalion was formed in 1914 and recruited in Western Ontario but mobilized at Valcartier, Quebec. It Disembarked for England arriving at Plymouth on 14th October, 1914. 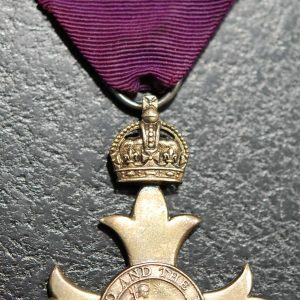 It left for France 8 February, 1915 and returned to England 23 March, 1919. 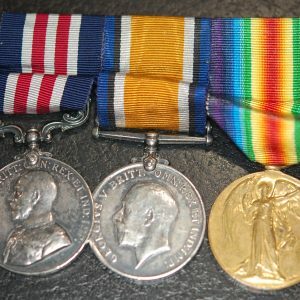 It originally was composed of Drafts from 25th Brant Dragoons, 12th Regiment (York Rangers), 13th Royal Regiment, 19th Lincoln Regiment, 20th Regiment (Halton Rifles), 35th Regiment Simcoe Foresters, 36th Peel Regiment, 37th Regiment, 39th Regiment and the 44th Lincoln and Welland Regiment.